On 30 January 2018, FIDH publishes the comic strip version of its Annual Report created by graphic artist Romain Ronzeau and the graphic artists from Cartooning for Peace. Illustrating some of the victories and battles of 2017, the artists eloquently convey the essential: in times of crises, defending human rights is more necessary than ever. 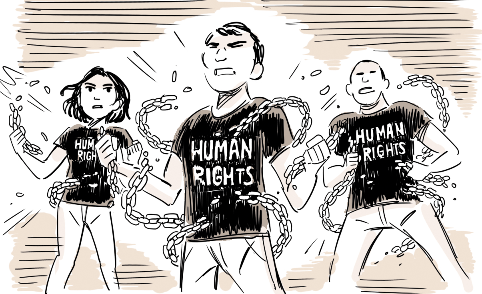 [for last year’s see: https://humanrightsdefenders.blog/2017/03/28/fidh-looks-back-at-2016-in-comic-strip/]. Good to see that the tradition is being kept up! On the occasion of the comic strip Annual Report’s release, FIDH reaffirms its support for all graphic artists and caricaturists who are subjected to threats and attacks on a daily basis. The border state of Chihuahua and its city of Juarez is like a war zone thanks to the inextricable link between drug cartels and official corruption. But thanks to human rights defenders, like Chihuahua lawyer and organizer Lucha Castro, fight back. Edited by Adam Shapiro, head of campaigns at the human rights organization Front Line Defenders, and drawn by Jon Sack are a series of profiles and reportage that have the urgency of dispatches from the scene. Luca Castro wrote the preface. 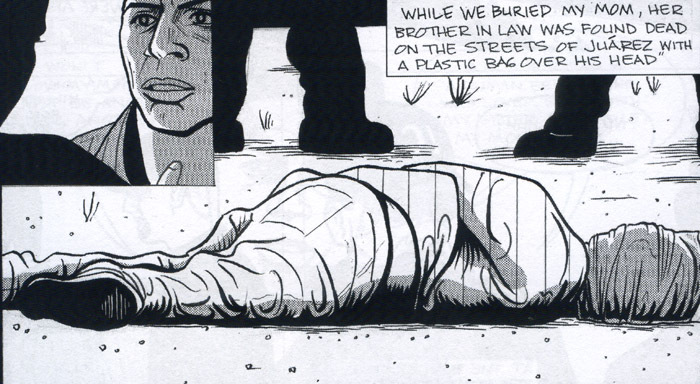 “La Lucha” is an exemplary example of the comics medium. A book like this one proves how complex issues can be presented in a clear and concise manner that can benefit people in a myriad of ways. It can jump start conversations that require a number of facts that are not always easy to follow. It can make a difference. It can even save lives. 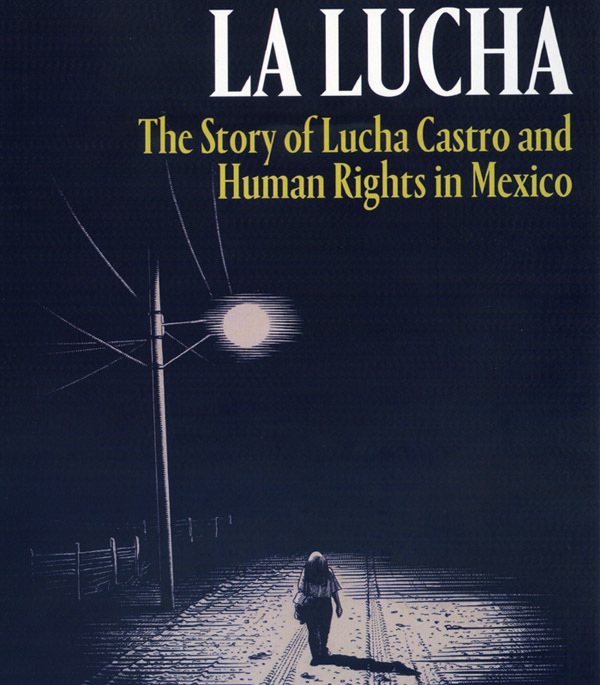 “La Lucha: The Story of Lucha Castro and Human Rights in Mexico” is published by Verso Books and is available as of March 31, 2015. You can find it here, here, here, and here. Review: ‘La Lucha: The Story of Lucha Castro and Human Rights in Mexico’ |.